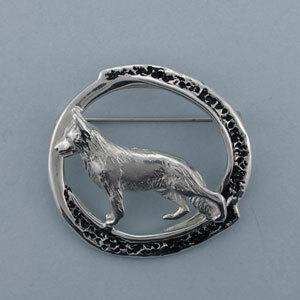 Design your own Pin - Click Here to view all Pin designs that we can create with your breed. 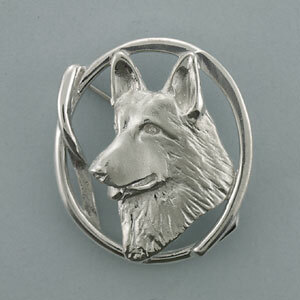 Sterling Silver large standing German Shepherd Dog on loopy, black enamel circle brooch. 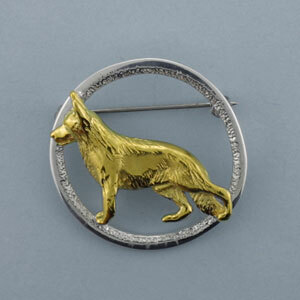 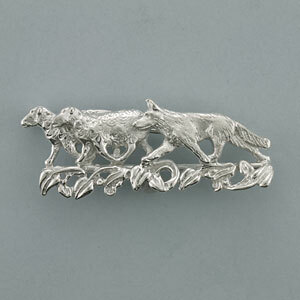 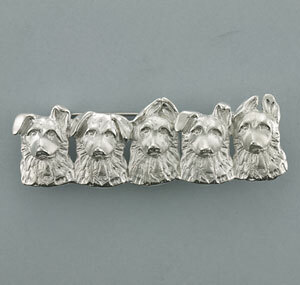 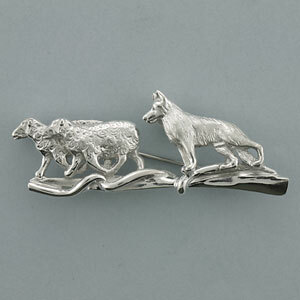 Gold Vermeil large standing German Shepherd Dog on Sterling Silver and textured frame Brooch.